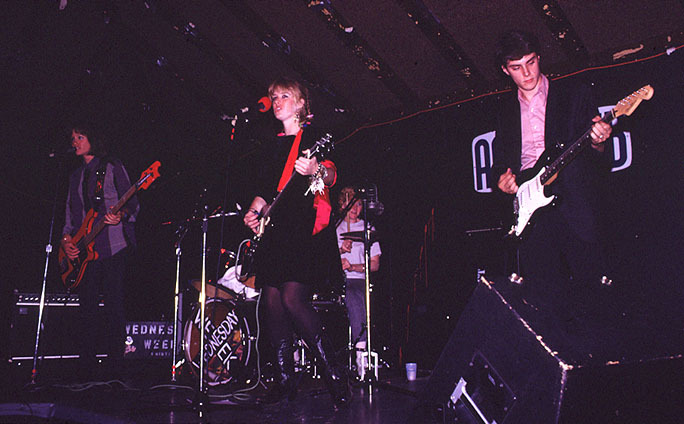 In August 1985 Wednesday Week (v.7) played at the Anti-Club with Zeitgeist (later the Reivers) from Austin. The Anti-Club, on Melrose Avenue in Hollywood, was a favorite underground club. There's only this one picture of Wednesday Week, but lots of pictures of Zeitgeist from this show at the Reivers' site.